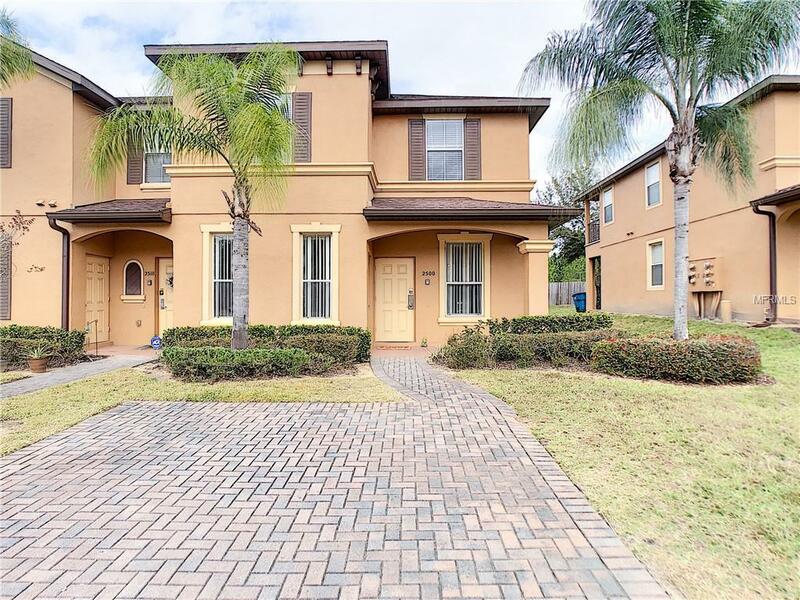 This wonderful 4 bed, 3.5 bath townhouse is located in the popular gated vacation community of Regal Palms at Highlands Reserve. 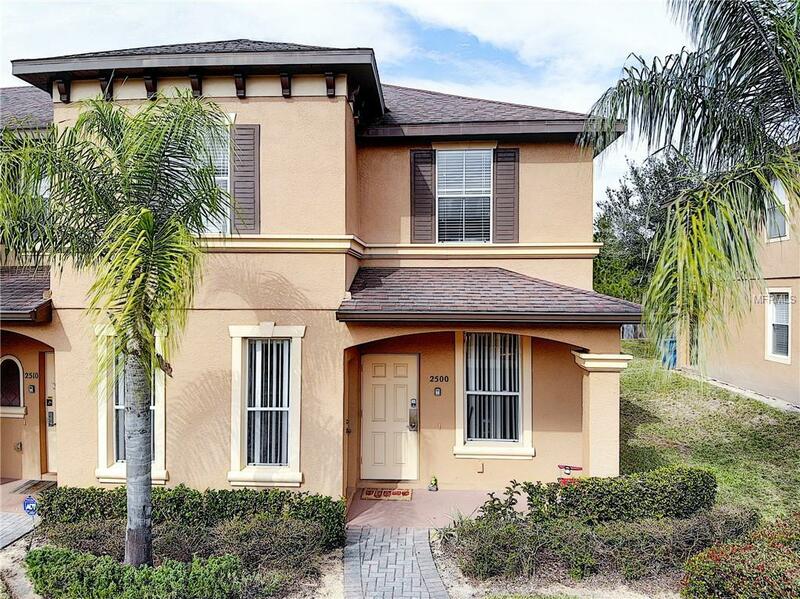 The well-maintained home has a bright and open layout that is comfortably designed. As you walk along the tiled hall floors, you are greeted by the cozy living and dining room combo that begins the carpeted area. There are sliding doors that lead out to a covered patio. Enjoy the serenity of the lush trees as there are no rear neighbors. The pass-through kitchen features all appliances. The first floor is rounded out by one of the bedrooms at the front of the home which can even be used as an office or guest space. As you head upstairs you will find the spacious master suite with private balcony and walk-in closet. The remaining two bedrooms and laundry closet with washer/dryer are upstairs. 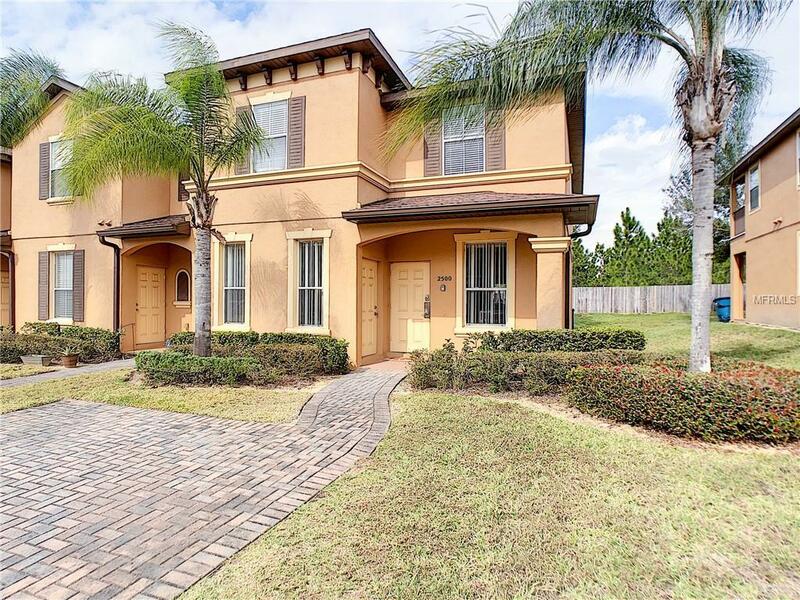 The Regal Palms boasts resort-style amenities that are perfect for the family. The community includes a fantastic water park with slides, heated pools, and a lazy river that are all serviced by the poolside bar and grill. There is a clubhouse with onsite reception, an indoor play zone, jacuzzi, fitness center with sauna & steam room, a day spa, beach volleyball, and sports bar and restaurant. 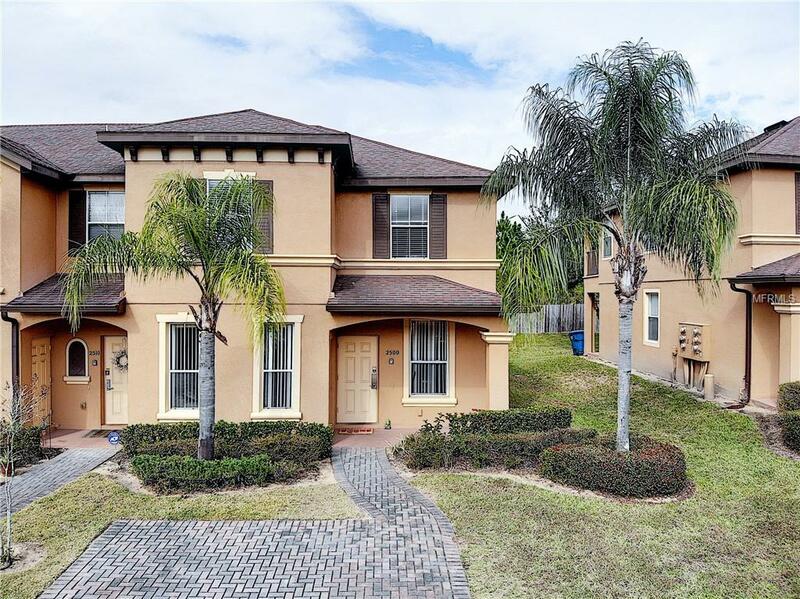 Located just minutes to Disney and all the attractions as well as endless shopping and restaurant options. This would make a great home or wonderful investment opportunity given the location, amenities, and option for short term rentals which are in high demand. Additional Lease Restrictions Short Term Rental Only Or Owners Residing Full Time Long Term Rentals Are Not Allowed.